After the previous front office left the prospect cupboard bare, new GM Mike Hazen has his work cut out for him to improve baseball's worst system. 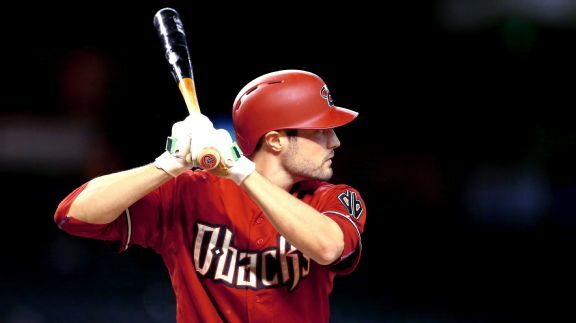 The Arizona Diamondbacks placed outfielder David Peralta on the 15-day disabled list Sunday with right wrist inflammation and released right-hander Josh Collmenter. An aggressive offseason doesn't guarantee anything. 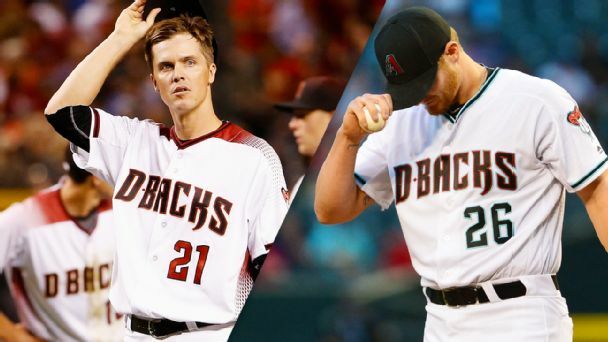 Just ask the Arizona Diamondbacks, the most recent team to see its best-laid plans go seriously awry when the games began. 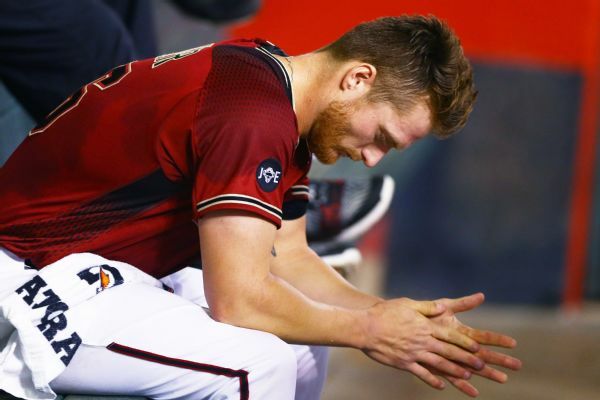 Shelby Miller was activated from the 15-day disabled list Monday to start Arizona's four-game series finale against the Phillies. 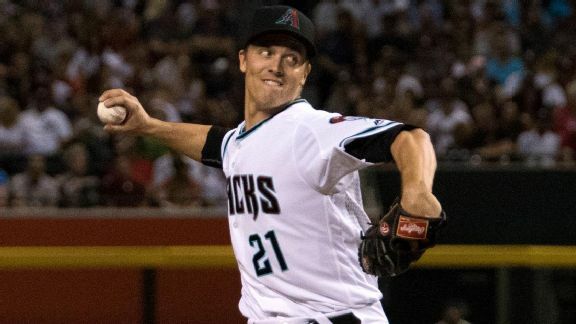 MLB Rumor Central: D-backs looking for help in center? Following A.J. 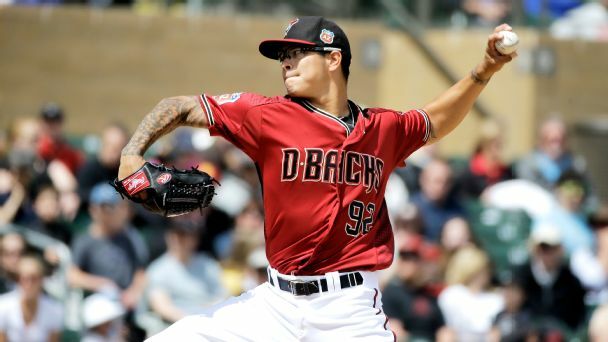 Pollock's elbow injury, the Arizona Diamondbacks are reportedly considering adding to their center-field depth. Eric Karabell examines the A.J. 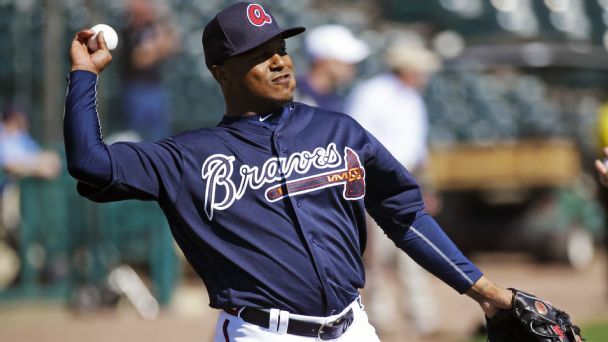 Pollock injury and how Socrates Brito and other Arizona players are affected. A.J. Pollock's breakout season in 2015 helped encourage Arizona to invest a ton of money and talent in a win-now offseason campaign. Today's rumor central explores potential shortstop options for the St. Louis Cardinals; plus notes on Jose Fernandez and the Arizona Diamondbacks. 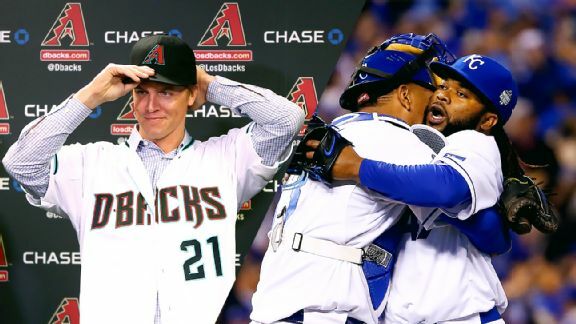 Is L.A., minus Zack Greinke, still the team to beat in the NL West in 2016? David Schoenfield examines the path to the playoffs for each team.